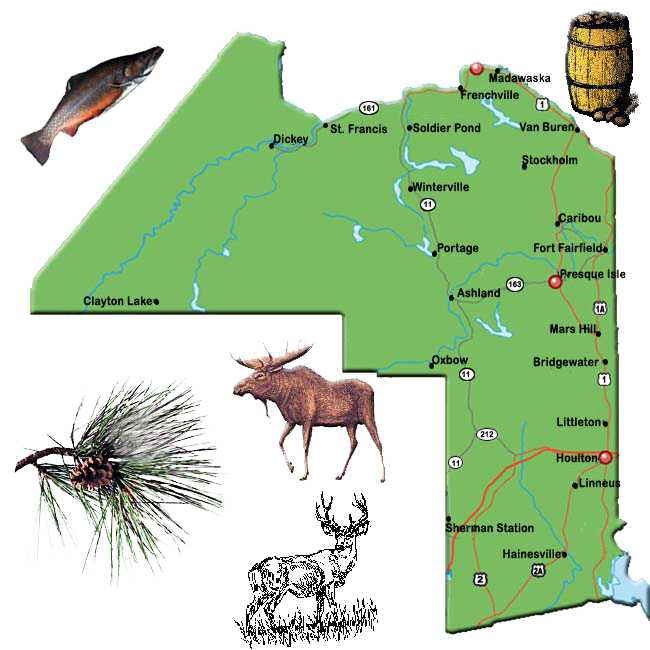 At Big Bear Real Estate Company we cover a lot of ground in Aroostook County. We represent sellers and buyers from Houlton, north to Madawaska and all points in between. Our experienced group of Realtors have lived and worked in many of the cities and towns in Aroostook County. We also have family ties and friends in just about every town in this, the largest county of any state this side of the Mississippi. We also now have an agent in Sountern Maine! Alex Willette can now represent buyers and sellers in the Lewiston/Auburn and Augusta areas and all surrounding communities. * Aroostook is named for an Indian word meaning "beautiful river"
* Best real estate company in Aroostook County? Big Bear Real Estate Company!